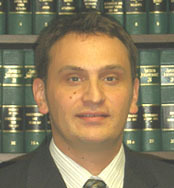 On April 21, 2008, the Director of the Office of Lawyers Professional Responsibility filed a petition for disciplinary action alleging that respondent David Gronbeck committed professional misconduct warranting public discipline, namely, misappropriating client funds from his trust account, failing to deposit a client�s bond premium advance into his trust account, failing to provide an accounting to his clients of estate funds held in his trust account, failing to inform his clients of his disbursements of estate funds to pay his legal fees, failing to respond to a client�s requests for an accounting and a refund, failing to refund a client�s unearned retainer, neglecting client matters, failing to adequately communicate with clients, failing to pay a professionally-incurred debt, and failing to cooperate with the Director�s investigation of two complaints, in violation of Minn. R. Prof. Conduct 1.3, 1.4, 1.15(a), 1.15(b), 1.15(c), 1.16(d), 8.1(a), 8.4(c), and 8.4(d), and Rule 25, Rules on Lawyers Professional Responsibility (RLPR). On July 24, 2008, the parties filed a stipulation under which respondent withdrew his previously filed answer and unconditionally admitted the allegations of the petition. The parties jointly recommended that the appropriate discipline is a 3-year suspension from the practice of law, with reinstatement by petition and hearing under Rule 18(a)-(d), RLPR, but only to permanent retired status. 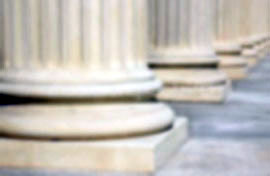 By order filed on September 9, 2008, the court ordered the parties to show cause why respondent should not be disbarred for misappropriation of client funds in the absence of clear and convincing evidence of mitigating circumstances showing that respondent�s conversion of client funds was not intentional. On September 22, 2008, the Director filed a memorandum in response to the order to show cause. The Director indicates that since the petition for disciplinary action was filed, respondent has produced documentation of his claim to have made full restitution of the misappropriated funds in December 2006, before the petition for disciplinary action was filed, and his claim to have refunded the unearned portion of the retainer fee in another matter. Finally, the Director notes that respondent suffers from depression, for which respondent has been treated in the past. The court has independently reviewed the file and, relying upon the additional information submitted by the Director, approves of the stipulated disposition. respondent may only be reinstated to permanent retired status. Respondent shall comply with the requirements of Rule 26, RLPR (requiring notice of suspension to clients, opposing counsel, and tribunals). Respondent shall pay costs in the amount of 0 pursuant to Rule 24(a), RLPR.